Wikipedia is among the top ten most visited sites on the Web. When there is a Wikipedia article on a topic that you search on, I'm sure you’ve noticed that article usually appears as one of the top few results, frequently in the number one position. There's no doubt that Wikipedia is important. However there are few people who understand the inner workings of Wikipedia and how the more than 3.8 million articles in the English language (and millions more in 282 other languages) are created. Sure, Wikipedia is an open platform and anybody can create or edit an article. But it's more complicated than that. A lot more complicated. I asked my friend Colin Warwick to help us out. Colin is a Product Marketing Manager at Agilent Technologies. 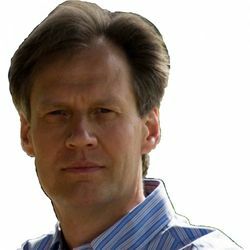 He writes the popular Signal Integrity blog and tweets at @SignalIntegrity. David: How did you get interested in contributing to Wikipedia? Colin: "Around 2004, a colleague at MathWorks - Ned Gulley - gave a talk on the crowdsourcing phenomenon: What it was, why it was happening, and Wikipedia was his prime example. His point was the success of Wikipedia is surprising. How can a bunch of unmanaged volunteers compete with the resources of, say, Microsoft (who had Encarta at the time) or the venerable Britannica. There's that famous quote: 'The problem with Wikipedia is that it works in practice, but not in theory'." David: So why does it work then? Colin: "It's true that a naive application of a theory like the tragedy of the commons would predict failure. But in the case of Wikipedia we get the inverse outcome because the cost of a contribution is much less than its value over time. For example, it costs very little for a contributor to enter knowledge from their experience into the servers, and very little for Wikipedia to serve that information over and over again to readers, generating great value over time. Unlike the pasture of a physical commons, information isn't degraded much by use. So the value of Wikipedia increases over time attracting more readers, some of whom become contributors, forming a virtuous cycle." David: So you got sucked into the vortex? Colin: "Yes. I became intrigued and started to add little facts I found here and there. The interaction with other contributors was startling at first but I began to realize that in questioning my assumptions I was not only contributing but pushing my own understanding to a higher level." David: Give us an example. Colin: "In my work, I had to learn about a new technology we wanted to enter called ODB++. I started researching it and gathered and read a ton of web links. But I noticed there wasn't a Wikipedia article about it. So I started one." Colin: "Just like that. 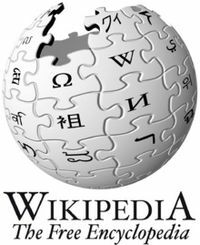 The best way to start or add to a Wikipedia article is to gather good web links first. Web-based versions of newspaper and magazine articles. Books. In Wikipedia-speak, it's called reliable sources." David: What about blog posts and other social media? Colin: "Ironically for a user-generated content site, Wikipedia looks down on user-generated content. Blogs can be a reliable source if the blogger is notable for something other than blogging." David: Interesting. I didn't know that before speaking with you. So what happened next? Colin: "Other editors started contributing to the article as I was writing it. At first it was really irritating to have some unknown person editing 'my' article as I was writing." David: Wasn't it your article? Colin: "Technically, no. If you contribute to Wikipedia, you irrevocably agree to release your contribution under the Creative Commons license. And they warn you 'If you do not want your writing to be edited, used, and redistributed at will, then do not submit it here'." David: That seems harsh. So what's the value for contributors on Wikipedia if that's the case? Colin: "Well, once I got over the irritation, I began to see a benefit: I learnt whole new perspectives from the other contributors that I didn't even know existed. There's a discussion page behind every article where you can ask: 'Why did you delete what I wrote?' It's kind of addictive. Who's going to end up right or wrong or what compromise will be reached? You can see why Wikipedia contributors give each other virtual barnstars as a token of appreciation in at those moments. It's evocative of communal barn building in certain rural communities. I had my barn-building moment on that article!" David: The article you wrote wasn't directly about your company. Many people want to know if they can create an article about their own company or its products and sevices. I'm asked that a lot. Can you do that? Colin: "You can but it's very difficult to not run afoul of Wikipedia's conflict of interest rules, COI in wiki-speak. Other editors can smell marketing puffery a mile way and will delete it as advertising in a heartbeat. The only workaround is to put Wikipedia's goal of a neutral point of view (NPOV in wiki-speak) first, and then either proactively seek what's called a COI review, or simply let nature take its course. As with all articles, you have the best chance of your edits 'sticking' if you come armed with reliable sources: don't simply add your opinion." David: Cool. Finally after many years of using Wikipedia I feel like I know a little about how it is put together and how someone in business can benefit from contributing. Hey Colin, you should write a book about all this stuff. Some smart editor or publisher who is watching this blog should cut a deal with Colin to do a book.